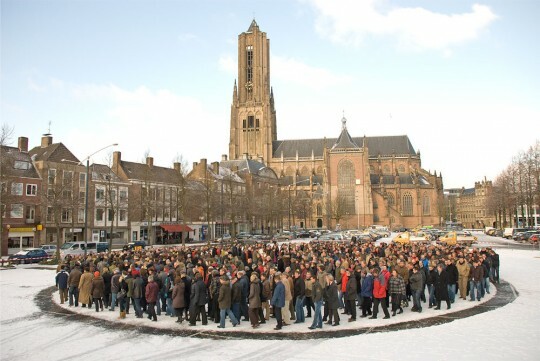 Performance with 688 participants who work for the governmental organization ‘Provincie Gelderland’. In silence, the people entered the disk and were standing still. 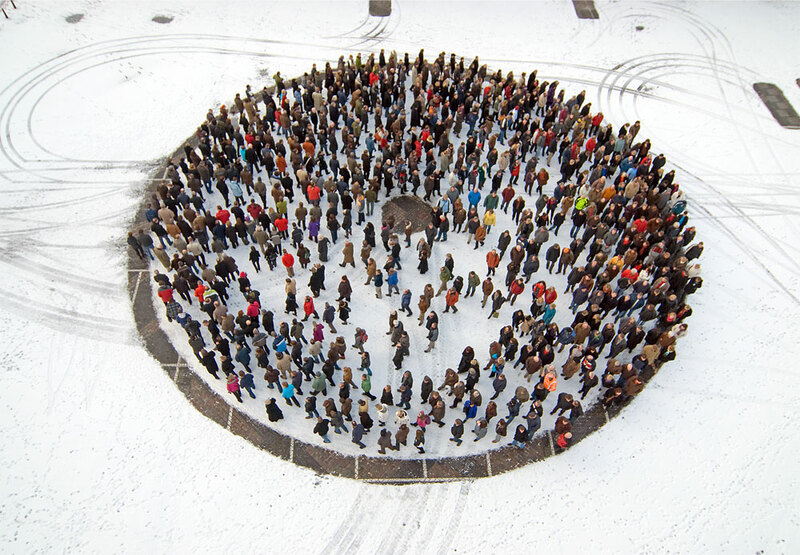 When the disk was full everyone walked clockwise, making a single circular movement together. After about ten minutes at the signal everyone stood in silence again for some minutes. Januari 5th 2009, Arnhem, The Netherlands. Thanks to: Gabrielle de Nijs-Bik, Piet Nieuwenhuysen. Photo’s: Hans Wijninga, Rob Sweere.